Yogurt & Co are good for athletes. But is this due to the bacteria? As a regular here at the SuppVersity, you are well aware of the far-reaching effects of having the "right" or "wrong" bacteria in your tummy. The claim that having the "right" bacterial make-up in the gut could have beneficial effects on your performance in the gym or on the track is something you should not believe too credulously. If we had a study to prove these benefits, things would be different, though - a study like the one a group of researchers from the National Taiwan Sport University are about to publish in the scientific bible of resistance training, the Journal of Strength and Conditioning Research (Hsu. 2014). In said study which is still available only as an accepted manuscript, Hsu et al. investigated the association of intestinal bacteria and exercise performance in specific pathogen-free (SPF), germ-free (GF), and Bacteroides fragilis (BF) gnotobiotic mice (animals in which only certain known strains of bacteria and other microorganisms are present). To this ends, the scientist had the rodents swim to exhaustion to determine whether enteric bacteria alter antioxidant enzyme levels, exercise performance and physical fatigue. In addition, they tested the antioxidant enzyme activities, physical performance and anti-fatigue function after monocolonizing GF mice with B. fragilis (BF). What they found was an increased time to exhaustion for the previously germ-free (GF) mice after they'd been colonized with B. fragilis (BF). Similar results were observed for the specific pathogen-free and Bacteroides fragilis gnotobiotic mice, who were also more enduring than the obesity resistant (Bäckhed. 2007) germ-free mice. Do we have human data, as well? No, we don't have human data that's comparable to the one presented in the study at hand, but we do have evidence of beneficial (ergogenic) effects of probiotics and prebiotics in human "athletes". Examples? Well, the oral administration of the probiotic Lactobacillus fermentum VRI-003 and mucosal immunity in endurance athletes (Cox. 2010). Improved oxidative status in athletes during intense exercise training (Martarelli. 2011). Reduced risk of infection (Gleeson. 2011; West. 2011). And if that's not enough, what about keeping on top of your game by preventing and managing travellers’ diarrhoea (Tillett. 2006)! As any SuppVersity veteran would expect, the germ-free mice were leaner than the rest of the pack. At the same time, the "sterile" mice did yet also have a lower liver, muscle, brown adipose, and epididymal fat pad weight than the SPF and BF mice. The markers of antioxidant defenses, the scientists measured were highest in the lean + light germ-free mice and their specific pathogen-free cousins. Against that background it's at least somewhat surprising that the performance differences are pretty significant. 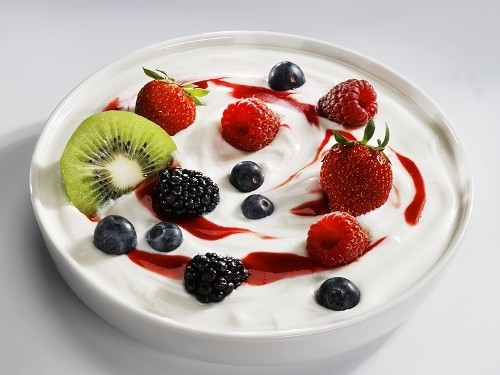 Pre- instead of probiotics: Personally, I believe that prebiotics, i.e. substances that promote the growth of the "right" bacteria are more promising agents than probiotics ("live" bacteria). Studies have shown that prebiotic at dosages above 2.5 g, which is far higher than that occurring in natural foods, increases the abundance of lactic acid and butyrate-producing bacteria. In that, galacto-oligo- saccharides (GOS) and fructo-oligo- saccharides (FOS), are the prebiotics with the most positive outcomes. As West points out in a 2012 mini-review as part of the BJSM "A–Z of nutritional supplements" series, the "potential benefits of supplementation with prebiotics on athletic performance are most likely indirect: they may be associated with the maintenance of gut health and perhaps a reduced risk of some illnesses which might enhance the athlete’s ability to train and compete." (West in DiMarco. 2012). Altering GI microbiota through the use of prebiotics may yet also favourably influence host metabolism. Athletes who are dieting, for example, will benefit from the reduction in appetite increase in gut peptide concentration in response to thec consumption of 16 g per day of FOS (Cani. 2009). So what are the practical implications, then? As the authors emphasize, "[t]his is the first study to show that the intestinal microflora plays an important role in exercise performance." The way the microbial make-up regulates the antioxidant enzyme defense system is yet not in line with the observed reduction in physical fatigue Hsu et al. observed in the study at hand. In view of the fact that the general assumption is that " intensive and sustained exercise training and high-level competition generate large amounts of free radicals that likely exceed the buffering capacity of the biological system, leaving athletes susceptible to oxidative stress", you would expect the Bacteriodes fragilis mice to perform the worst. On the other hand, the mice harboring Bacteroides fragilis are significantly more muscular than the lightweight germfree mice... well, we could continue this discussion forever, but eventually the one result that may have a practical implication is the increased performance after mono-colonization in the germ-free mice. If nothing else, this result which happens to be the first evidence of performance enhancing effects of having a gut microbiome, would imply that you better recolonize your gut as soon as possible after a course of antibiotics. How the various different microbial status might regulate performance, on the other hand, will have to be elucidated in future studies - human (!) studies, that is | Comment on Facebook! Bäckhed, Fredrik, et al. "Mechanisms underlying the resistance to diet-induced obesity in germ-free mice." Proceedings of the National Academy of Sciences 104.3 (2007): 979-984. Cani, Patrice D., et al. "Gut microbiota fermentation of prebiotics increases satietogenic and incretin gut peptide production with consequences for appetite sensation and glucose response after a meal." The American journal of clinical nutrition 90.5 (2009): 1236-1243. Cox, Amanda J., et al. "Oral administration of the probiotic Lactobacillus fermentum VRI-003 and mucosal immunity in endurance athletes." British Journal of Sports Medicine 44.4 (2010): 222-226. DiMarco, N. M., et al. "A–Z of nutritional supplements: dietary supplements, sports nutrition foods and ergogenic aids for health and performance—Part 30." British journal of sports medicine 46.4 (2012): 299-300. Gleeson, Michael, et al. "Daily probiotic's (Lactobacillus casei Shirota) reduction of infection incidence in athletes." (2011). Hsu et al. "Effect of Intestinal Microbiota on Exercise Performance in Mice." Journal of Strength and Conditioning Research. DOI: 10.1519/JSC.0000000000000644 | Publish Ahead of Print. Martarelli, Daniele, et al. "Effect of a probiotic intake on oxidant and antioxidant parameters in plasma of athletes during intense exercise training." Current microbiology 62.6 (2011): 1689-1696. West, Nicholas P., et al. "Lactobacillus fermentum (PCC®) supplementation and gastrointestinal and respiratory-tract illness symptoms: a randomised control trial in athletes." Nutrition journal 10.1 (2011): 30.